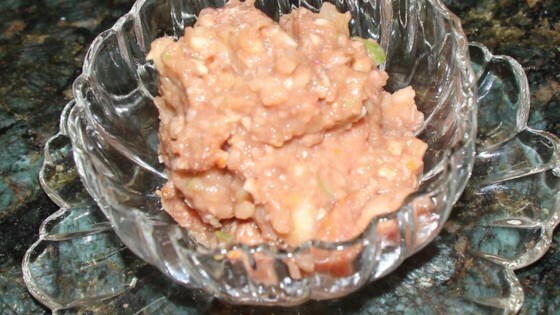 "I have been making this charoset since my first Passover. Even the kids love it!" Blend apples, bananas, dates, walnuts, orange zest and juice, lemon zest and juice, cinnamon, and sugar in a food processor until chunky. Transfer apple mixture to a bowl and stir in wine. Gradually stir matzo meal into apple mixture, adding enough to soak up the wine; chill in refrigerator. Substitute peanuts for walnuts if eating kitniyos.